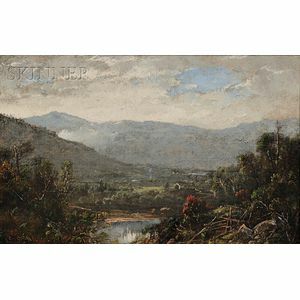 William Louis Sonntag Sr. (American, 1822-1900) Ossipee Valley, N.H. Signed "Sonntag" l.l., titled in ink on the reverse. Oil on canvas, 6 3/4 x 10 3/4 in. 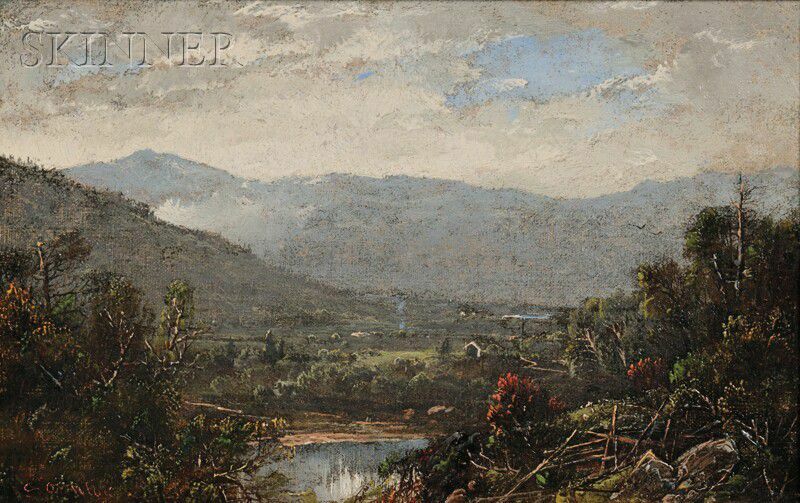 (17.2 x 27.3 cm), framed. Condition: Retouch, mild surface grime. With a canvas stencil from Theodore Kelley, Artist's Colorman, New York, on the reverse.